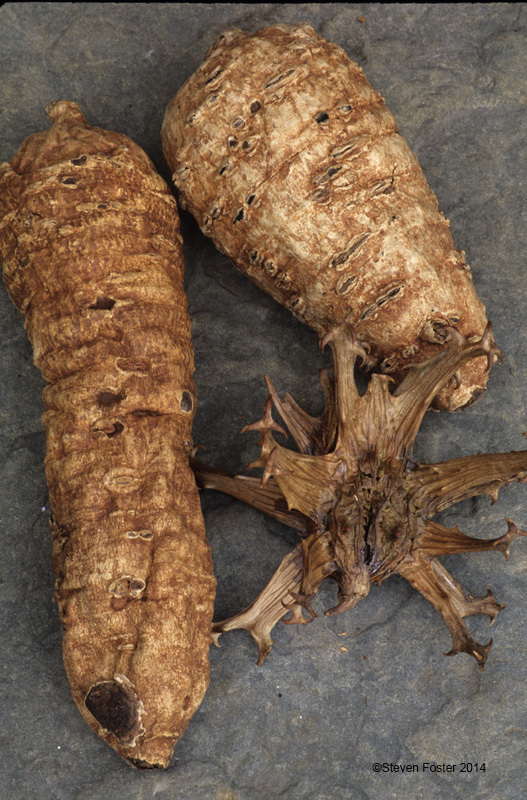 Harpagophytum procumbens and H. zeyheri are members of the sesame family (Pedialaceae) and are native to southern Africa. Devil's claw has many uses including loss of appetite, stomach upset, tendonitis, allergies, headache, and disorders of the locomotor system. 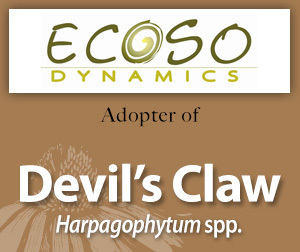 Please enjoy this information on devil's claw made available through the generosity of Ecoso Dynamics' adoption. Devil's Claw root monograph from Herbal Medicine: Expanded Commission E Monographs. Devil's Claw root monograph from The Complete German Commission E Monographs—Therapeutic Guide to Herbal Medicines. Read the press release about Ecoso Dynamics' adoption of Devil's Claw.